i am too selfish to be nice. anyway i'd hate to do something for someone else. let the ghosts visit me on christmas eve. coal for everyone!!!!!!!! ISTJs don’t make many assumptions, preferring instead to analyze their surroundings, check their facts and arrive at practical courses of action. ISTJ personalities are no-nonsense, and when they’ve made a decision, they will relay the facts necessary to achieve their goal, expecting others to grasp the situation immediately and take action. ISTJs have little tolerance for indecisiveness, but lose patience even more quickly if their chosen course is challenged with impractical theories, especially if they ignore key details – if challenges becomes time-consuming debates, ISTJs can become noticeably angry as deadlines tick nearer. When ISTJs say they are going to get something done, they do it, meeting their obligations no matter the personal cost, and they are baffled by people who don’t hold their own word in the same respect. Combining laziness and dishonesty is the quickest way to get on ISTJs’ bad side. Consequently, people with the ISTJ personality type often prefer to work alone, or at least have their authority clearly established by hierarchy, where they can set and achieve their goals without debate or worry over other’s reliability. ISTJs’ dedication is an excellent quality, allowing them to accomplish much, but it is also a core weakness that less scrupulous individuals take advantage of. ISTJs seek stability and security, considering it their duty to maintain a smooth operation, and they may find that their coworkers and significant others shift their responsibilities onto them, knowing that they will always take up the slack. ISTJs tend to keep their opinions to themselves and let the facts do the talking, but it can be a long time before observable evidence tells the whole story. ISTJs need to remember to take care of themselves – their stubborn dedication to stability and efficiency can compromise those goals in the long term as others lean ever-harder on them, creating an emotional strain that can go unexpressed for years, only finally coming out after it’s too late to fix. If they can find coworkers and spouses who genuinely appreciate and complement their qualities, who enjoy the brightness, clarity and dependability that they offer, ISTJs will find that their stabilizing role is a tremendously satisfying one, knowing that they are part of a system that works. Does that fit @Affable ? Thanks @qtkt . This does sound exactly like me. I’ve tried a few different Myer Biggs tests and got the same result on each. I am pretty sure that the test is right. Would be interested to know if people are creeped out by this, just because it's a spider. For me, I don't know if I would be patting it, but I don't find it creepy to watch. I think cos it is so close it doesn't look like a spider to me. It somehow looks more friendly and cute so I don't find it squeemish to watch. In real life I may be a whole other story though! it just makes me want to squash it. i'm an infp. suits me perfectly i reckon. a bit of an artistic dreamer. plus other stuff. i'll post some more myers briggs things later. Even the actual study of the mind - has a million miles to go to understand humans, and you/I/any ordinary human cannot self analyse. i like self analysing though. i think i am quite good at it, especially when it comes to me and dating. and on what, or rather who, i am attracted too in my life. If what you write was true, why are all the dates not working? When you see someone use the Myer-Briggs Type Indicator in a professional context, call them out. It does not meet basic criteria of psychometric scales, was "developed" in the 40s by people without any training, & is based on outdated psychoanalytic ideas. 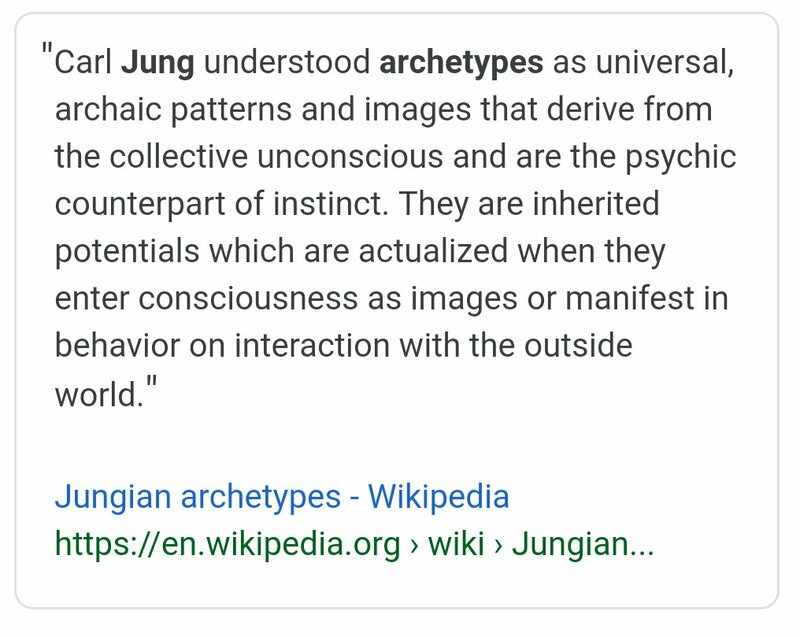 MBTI categorizes people according to outdated archetypes based on ideas of Carl Jung that have not been taken seriously for many decades in psychology. These archetypes are as valid as zodiacs or tarot cards, and have hardly any external validity. myers briggs is not rubbish. and i am great at analysing myself, especially when it comes to dating. however, there are obviously other factors, through my own fault, that impedes my romantic life. that doesn't mean that i wouldn't know the type of woman i would be attracted to or my own values in life. how would you analyse me? and also don't forget the curse. that has to be a contributing factor. one can't deny the power of the curse. valid as zodiacs or tarot cards......did you pay for the real test? Or have you just used pop quizes. I know some fortune telling weirdos if you want a link.....making $$$ from fools has become a huge industry, used to be illegal. Oh, and what is the 'curse'???? you don't need to meet someone to analyse or understand them. that is silly. and besides if we didn't analyse or judge people we've never met then all the comments from the reality tv show threads would dry up to a trickle. the curse that was put on me from up above for showing an attraction to inigo. which meant because of me getting ideas above my station i am doomed to a lifetime of failed dates. (even though i don't believe that inigo is above my station at all).